Why Dihuni for Supermicro Servers? Dihuni has deep relationship and partnership with Supermicro and their partners. We have over 20 years of experience in designing, developing and shipping thousands of Supermicro servers and OEM appliances globally. With personalized attention, Dihuni can help you define and custom configure servers as per your specific requirements and drop ship to the location you need. Additionally, Dihuni offers multiple support options – from standard annual warranty to installation support, 4-hour onsite support etc. 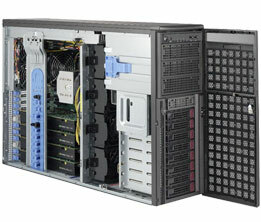 We also custom brand or develop completely new OEM products based on Supermicro servers. Please visit our OEM page to learn more about our OEM and Private Branding program or contact us. You can buy Supermicro servers right now from our easy to use Online Store. We have a combination of barebones servers (chassis, motherboard and power supplies) and complete systems with CPU, Hard Disk Drive and Memory for easy one-touch purchases. 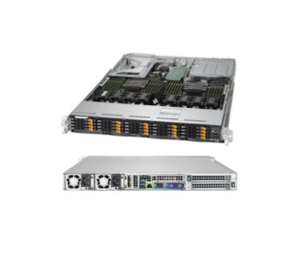 We are constantly adding new products to our e-commerce store – with Supermicro’s broad and customizable server line, we know there is a product available for your needs whether listed on this site or not. If you don’t find the exact model listed on our site, please contact us at digital@dihuni.com with your general server requirements or with the Supermicro sever model number and we will get back to you asap and configure the right system for you. From simple applications such as firewall to high performance HPC clusters, hyperscale cloud and IoT, our 1U servers offer maximum density. Maximum Flexibility in a space saving 2U form-factor, these servers are power houses for applications such as Mail, E-commerce, Virtualization, Cloud Computing, Machine Learning, Artificial Intelligence etc. Our 3U servers provide high levels of scalability and performance and can be configured in optimal mix of CPU, memory, hard disk drives.These servers are ideal for Storage Server, JBOD/RAID, Video/Surveillance and Big Data applications. Our 4U range offer versatility in either a tower or rack mount 4U form factor and support enterprise-class SAS/SCSI/SATA drives. These servers are extremely high in reliability and feature dual and quad Xeon® processors for utmost performance. They are suitable for large Databases and Web Servers, NAS and Big Data applications. 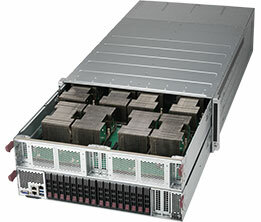 SuperBlade® servers reduce server footprint in the data center. Power, cooling and networking devices are aggregated in the rear of the chassis to optimize space. Up to 10 TwinBlade (20 nodes) can be installed in a 7U chassis. Compared 1U, the SuperBlade provides more than 50% density savings with 120 nodes and 24 switches in a 42U rack. These servers are suitable for general Data Center Infrastructure, Mail, Web, CRM and other corporate IT applications. 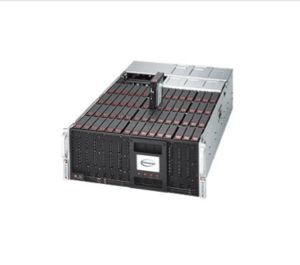 The Supermicro MicroBlade is a powerful and flexible extreme-density server suitable for Cloud Computing, Video Streaming, Content Delivery, Social Networking, Desktop Virtualization and Remote Workstation applications. Know what you’re looking for or want to browse our extensive catalog for Supermicro systems. 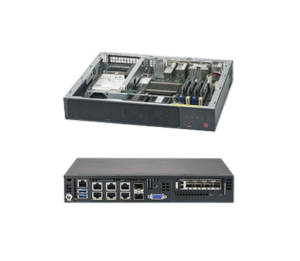 SYS-E300-9A : New Intel Atom C3000 Series Embedded Platform ideal and customizable for Network Appliance, Security Appliance, Video Signage Display Player, Internet of Things (IoT) applications where data aggregation and local analytics is needed. New! All Flash 1029UZ-TN20R25M Supermicro’s new all-flash 1U Ultra server supports 20 hot-swap NVMe SSDs. With flexible networking options, this server is a low latency ultra high performance beast for your most demanding applications.